Individual campsite reservations can be made a minimum of two days in advance of arrival date and up to 4 months in advance. Group use reservations may be made up to 11 months in advance. We have sites that have full hook ups and sites without hook ups. Each site has a picnic table, a fire ring and a grill. Firewood is available for $5/bundle. 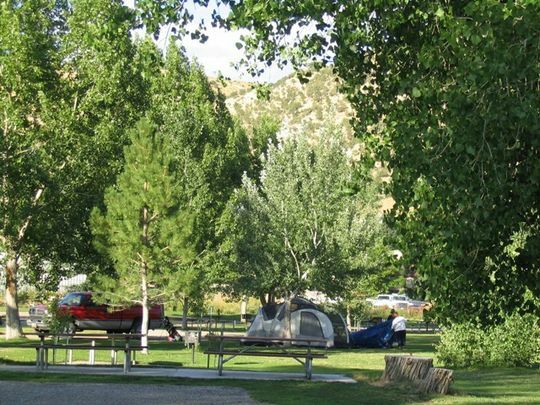 Each site also has a place to set up a tent and a place to set up your camp trailer. 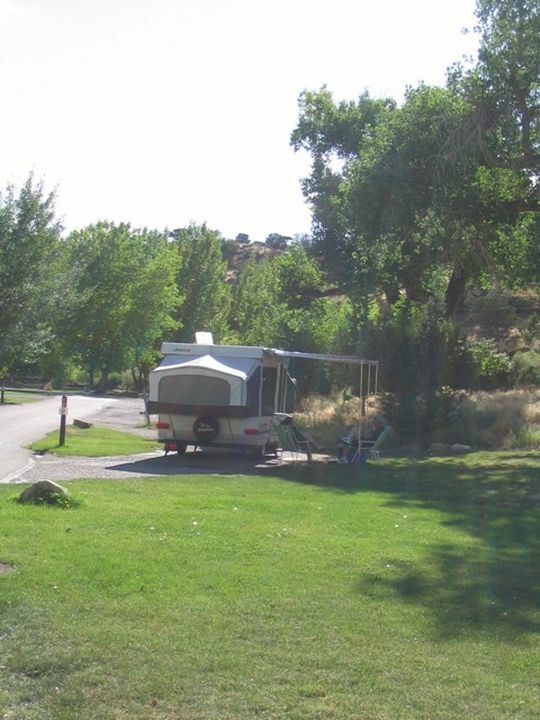 If you don’t want to rough it in a tent or camp trailer, we also rent Cabins. We have 6 Cabins, 3 with Full Amenities 3 with Basic Amenities. New in 2019 we will be adding 3 more Basic Amenity cabins that will be closer to the lake. 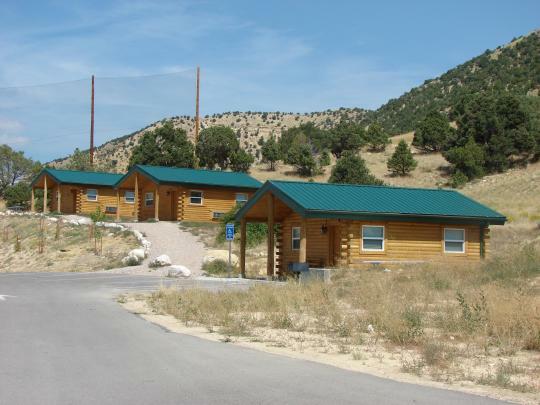 Our Full Amenities cabins have sleeping for up to 8 people with a heater/air conditioning unit and light and power. They also have a restroom with showers and toilet inside the cabin. Our Basic Amenities also sleep up to 8 people with a heater/ air conditioning unit with lights and power (no water). There are restrooms a short walk away. 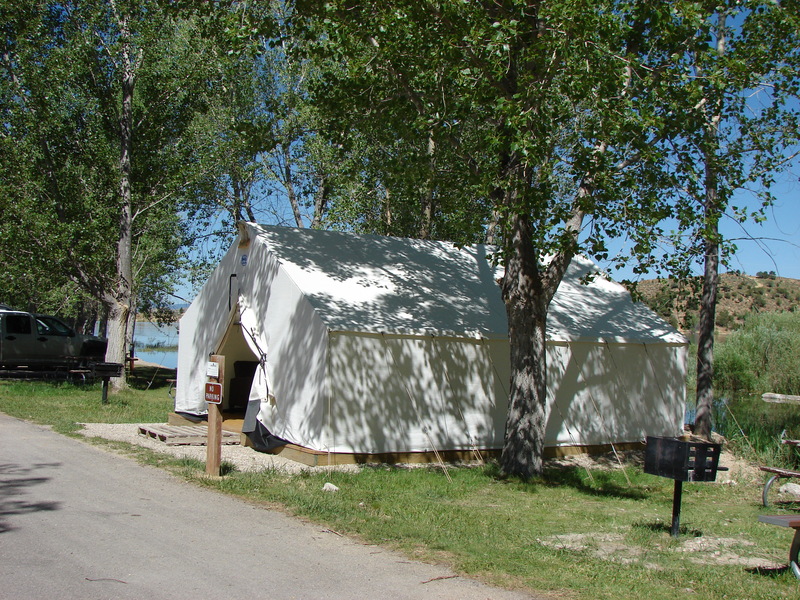 We also rent Tent Cabins. The tents have a queen bed with a full trundle that slides underneath and a full size futon. Each cabin has a table and chairs and either a wooden or cement floor. There is no electricity in the tent cabins, so plan ahead, but please no propane lanterns. For both our Cabins and Tent Cabins you will need to bring your own linens or sleeping bags. Also we do not allow pets of any kind in or around the Cabins or Tent Cabins. If you bring a pet you will have to find somewhere else for it to stay. 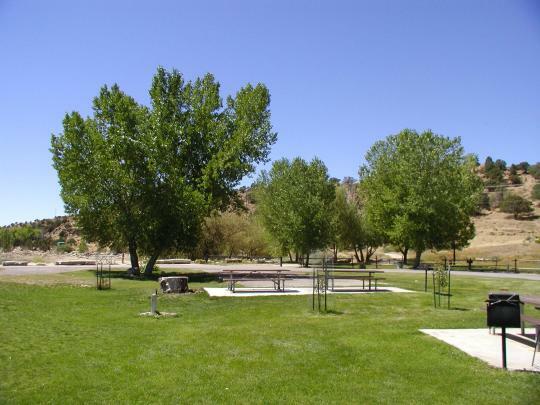 Reservations are always recommended, and may be made by calling (800) 322-3770 or visiting Palisade State Parks Reservations.